If you want to protect environment or save money, vinyl wristband is the best option cause it’s secure and environmental wristband. Vinyl wristbands are a perfect choice for extending wear and custom imprinting and the sturdiest single-use wrist bands we offer. it is made from a soft, comfortable vinyl, the wristband is durable with a three layer vinyl material. The closure is totally secure with locking plastic snaps. 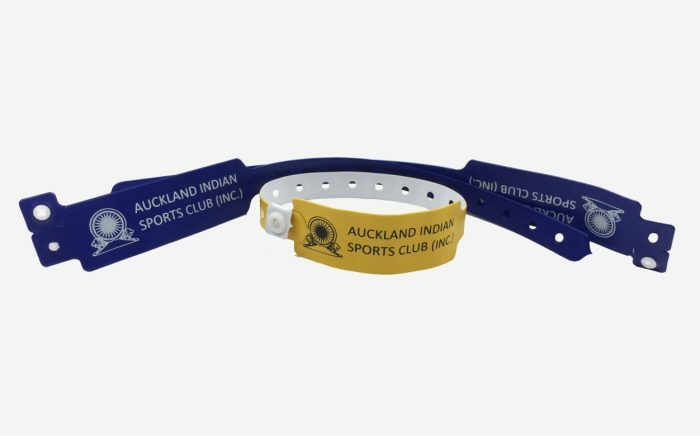 Vinyl wristbands are the most durable security wristband to identify customers and patrons across countless different types of events that you will find among all of the wristbands. It can last up to wear or tear to 2 weeks if you don’t destroy or remove it on purpose. its one-time use locking snaps help to prevent transfer and increase security. Vinyl wristband need to be cut off after use if someone attempts to take it off . That will help to prevent event wearers from trying to swap or sell their wristbands. All vinyl wristbands are fitting to everyone’s wrist which means it can be adjusted according to people’s wrist size. It’s made from high quality durable PVC, Eco-Friendly Soft, comfortable materials and light weight to wear. Custom vinyl wristbands also are suitable for a clear print of your text and image. If you can’t find the wristband you need in our in-stock section, you can custom your vinyl wristbands just send us your logo or design we will do our best to create completely unique wristbands to you. Custom vinyl wristbands are harder to imitate and they offer you the opportunity to market your event with your logo on the wristband.